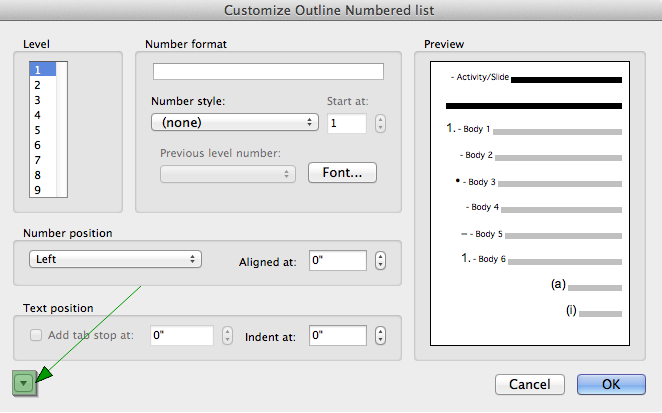 Leader Notes Troubleshooting - The numbering structure is no longer working. 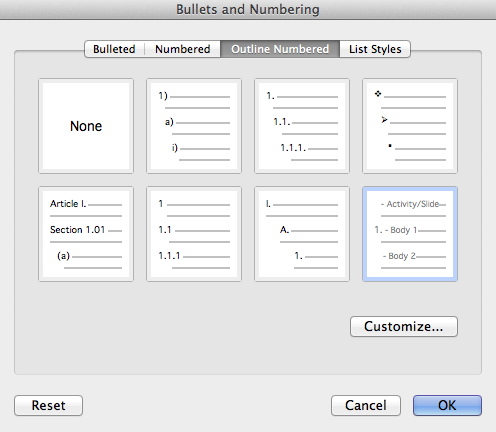 This brings up the “Bullets and Numbering” palette. 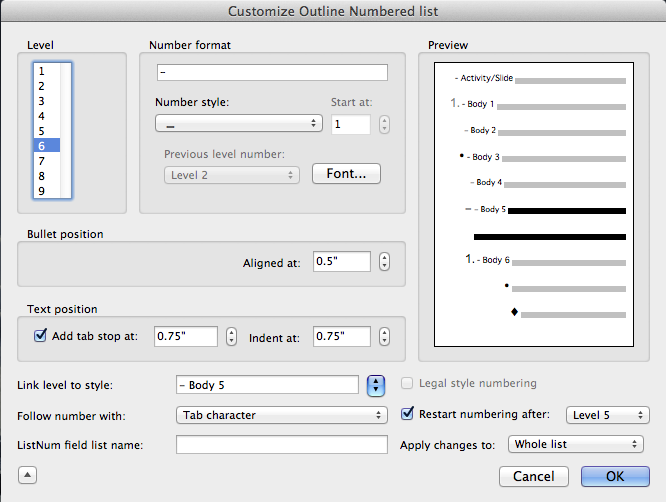 The “Outline Numbered” tab should be highlighted (Figure 2). 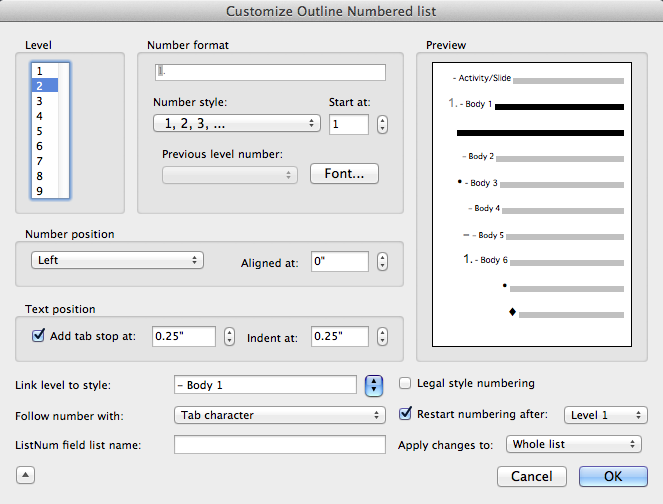 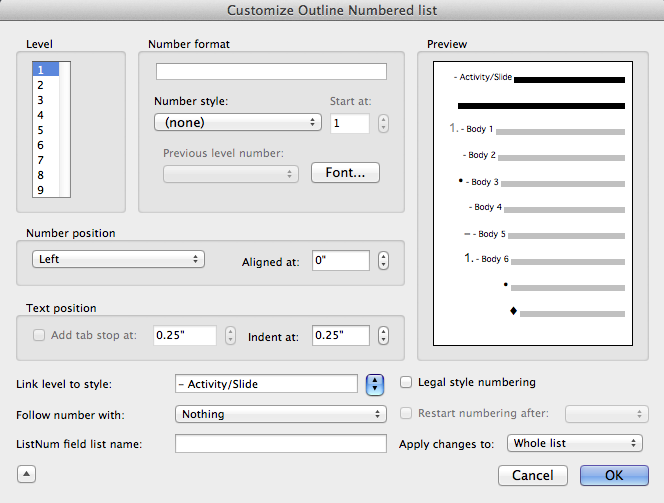 Select “Customize” at the bottom of the palette to bring up the “Customize Outline Numbered List” palette. 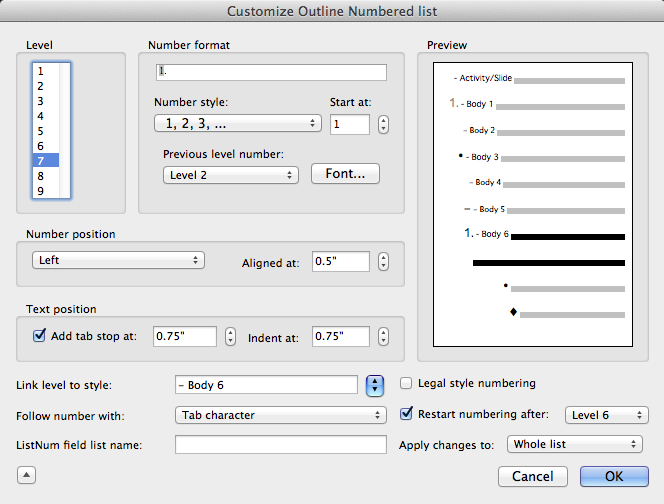 The “Customize Outline Numbered List” palette is where you will make all of the edits to rebuild the automatic numbering hierarchy. 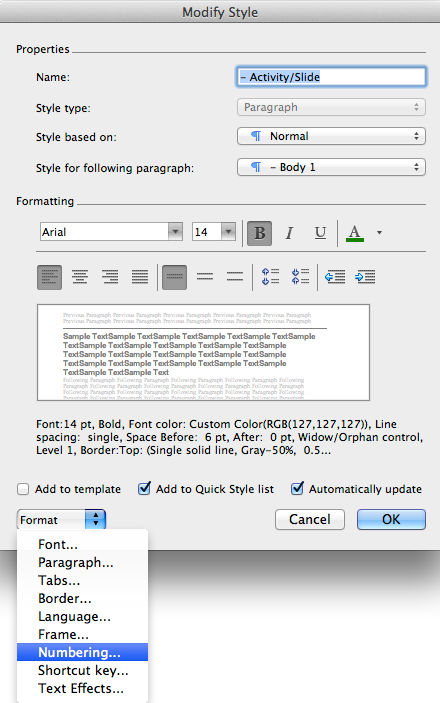 Note: You will likely have to click the drop-down arrow near the bottom of the palette to display the last four fields that need to be edited (Figure 3). 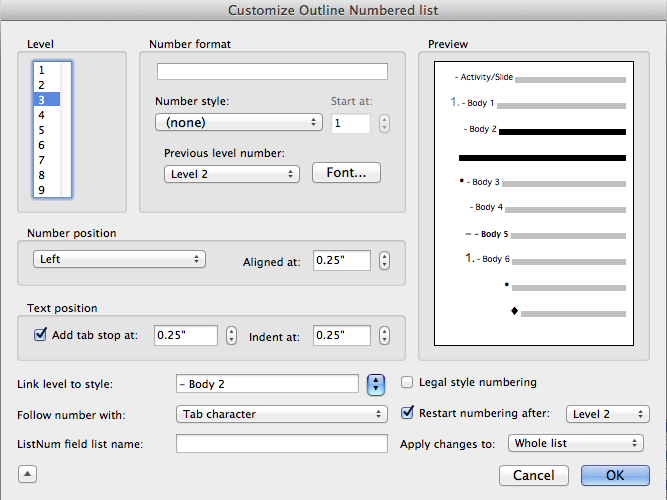 Check all seven levels, starting with Level 1 (as seen in the level styles below). 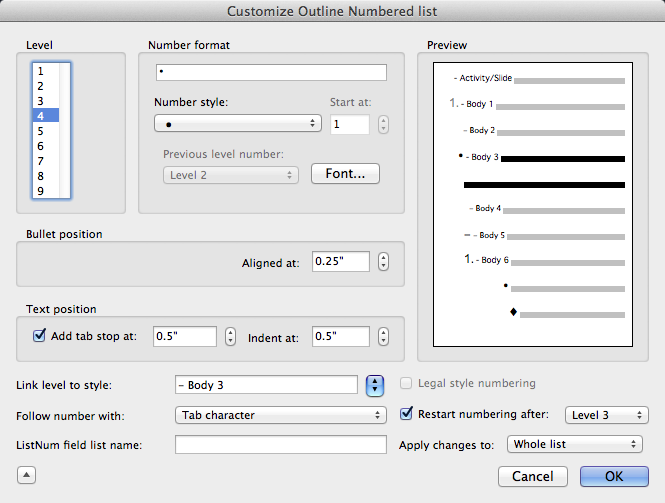 If any of the fields don’t match the information shown below for each level/style, change them to match the information shown below. 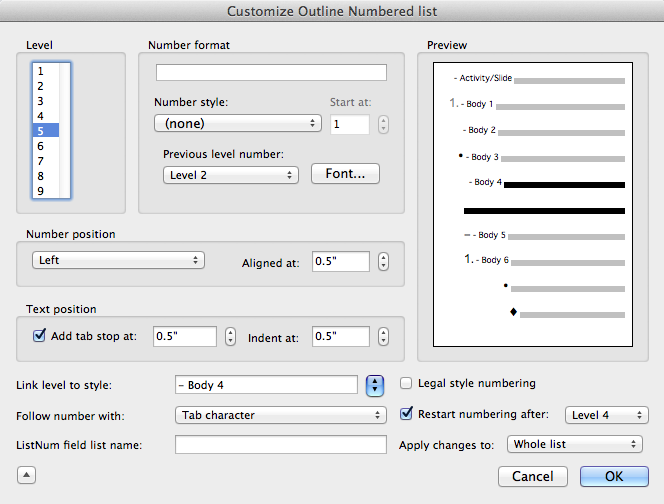 Text position—Add tab stops at: 0.25"
Text position—Add tab stops at: 0.5"
Text position—Add tab stops at: 0.75"